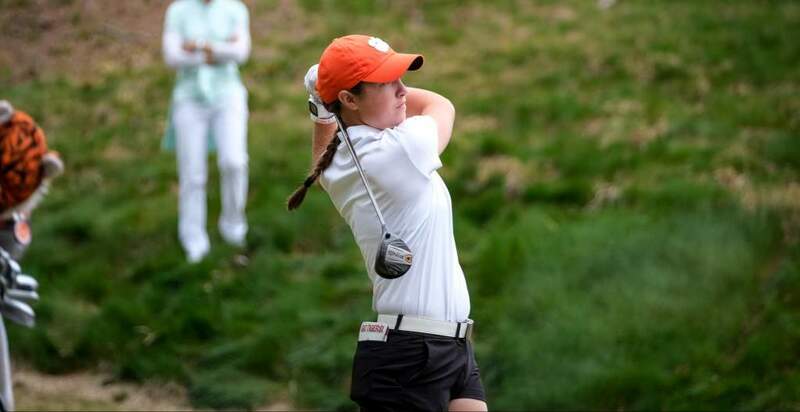 With the return of six players, plus the addition of three of the top amateurs in the world, the outlook for 2015-16 is bright for the Clemson women’s golf program. This is just the third season of varsity status for the program and head coach J.T. Horton feels the Tigers should be much improved over last year. “We will have a lot more depth, the deepest we have been,” said Horton, who has been the only coach the Clemson women’s program has known. “Depth means we will have competition for playing positions and that will raise everyone’s game. It will make us a much stronger team this year. The improvement over the course of last year and the performance of a couple of players over the summer has Horton anxious for the start of the season. “We are really excited about what Marisa Messana did this summer at the U.S. Amateur. Getting to the tournament with a strong performance in the qualifier and then reaching a playoff for the final match play spot against the top amateurs in the world is a big confidence builder for her. Clemson will add two players in the fall and another in January, a trio that forms one of the top recruiting classes in the country. 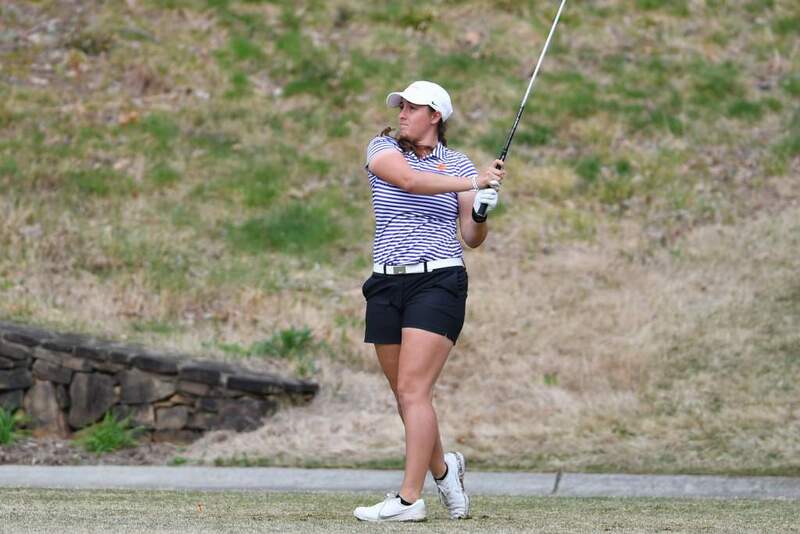 Lauren Stephenson is a three-time AJGA All-American, while Alice Hewson has international experience in Great Britain and is one of the top amateurs from across the Atlantic. Sydney Legacy is a junior college transfer who finished second at the national tournament. She will join the program in January. Salazar led Clemson in stroke average last year at 75.89. She also led the team in rounds at par, was second in fairway hitting percentage (86 percent) and had the best score of the day in 12 of the 27 team rounds. Her score counted in 24 of the 27 rounds. The native Santa Clara, Calif. has played in every round (59) for the Clemson program over the last two years. Shanahan hopes to return to her freshman year form. The native of Georgia missed three tournaments last year with some health problems, but was regaining her form at the end of the season, as shown by her opening round 72 in the ACC Tournament. Shanahan was a first-team All-ACC player as a freshman when she started every round on Clemson’s top 25 team that reached the NCAA Tournament. She is a two-time selection as an All-American Scholar by the Women’s Golf Coaches Association. Messana had an outstanding freshman year on the course and off. She earned a 4.0 GPA in the classroom and was named to the Academic All-ACC team and was named an All-American Scholar by the Women’s Golf Coaches Association. On the course the native of Fort Lauderdale, Fla led the team in birdies and had the third best stroke average. 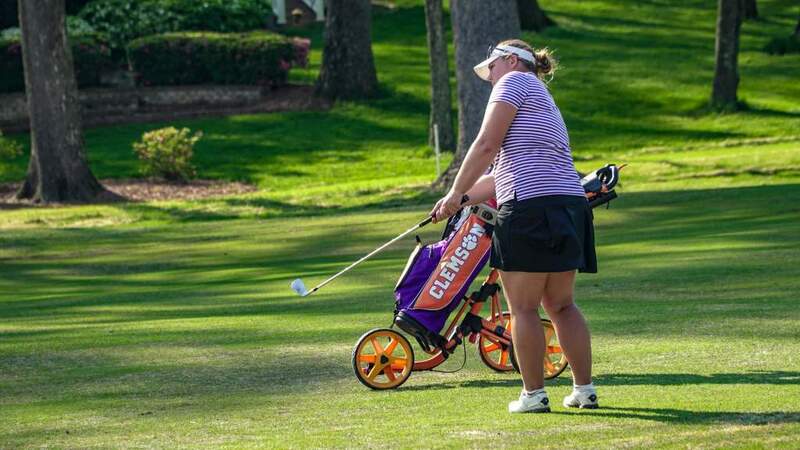 But, she was Clemson’s best player at the ACC Tournament, the final event of the year when she fashioned a 219 for 54 holes at Sedgefield Country Club in Greensboro. She tied for 21st in the field that included nine NCAA Tournament teams. Her 71 in the second round was the low round by a Tiger. Messana continued her fine play this past summer at the United States Amateur. She qualified for the tournament then finished in a tie for 55th in stroke play to qualify for a playoff for the last spot in match play. Hoang was the most improved player on the team in 2014-15 as she lowered her stroke average by 3.5 shots per round over her freshman year. In the first tournament of her sophomore year the native of North Augusta, S.C. fired a 68 at the Cougar Classic to tie the Clemson single round record. It was the low round of the year by a Clemson women’s golfer. The strongest part of her game is driving accuracy, 95 percent last year and 95 percent for her career. Her score counted in 23 of 27 rounds last year and she had the top round of the day six times. Talbert has been a starter each of the last two years and has two top 10 finishes and four under-par rounds to her credit. Her round counted towards Clemson’s team score 16 of 21 rounds as a sophomore. Taylor Ramsey is in her fourth year with the program as a red-shirt junior. She has played in six tournaments in the last two years. Stephenson is a three-time Rolex All-American, including a first-team selection in 2014. 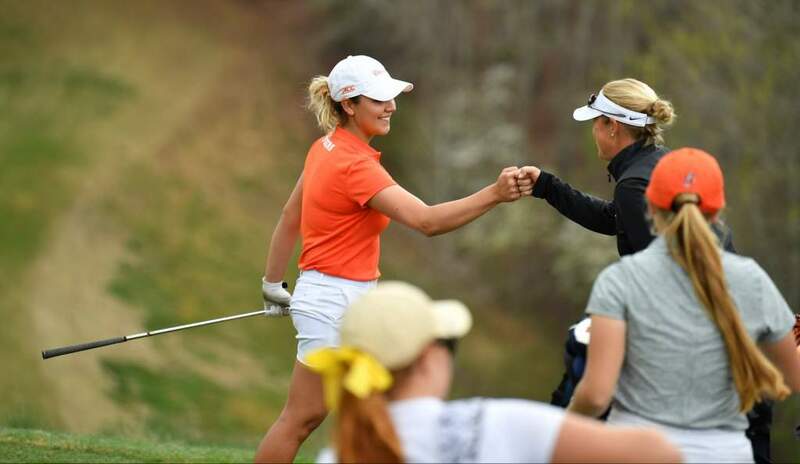 She comes to Clemson from Lexington, S.C. where she made national headlines last year when she made first-team all-state in girls and boys golf. She won the state championship for the girls and finished fifth among the boys. This past summer she was chosen for the United States World Junior Team that competed in Japan in June. She finished ninth in that tournament. “Lauren has a lot of experience in elite tournaments, especially in match play events,” said Horton. “She reached the round of 32 at the 2014 US Amateur and reached the Final 16 of the North & South Amateur each of the last two years. Hewson has competed at a high level for various English National teams. She comes to Clemson from the Berkhamstead School in England. Last summer she ranked No. 34 in the world amateur rankings and has been among the top 10 amateurs in Great Britain. This past summer she played for the Great Britain & Ireland team in the Vagliano Cup competition against the Continent of Europe. “Alice has a powerful game and is a strong athlete. She has a great deal of international experience, especially in match play and that has made her mentally tough. She is used to competing for a team and I expect her to make a strong impact as a freshman. I am excited to see how much she will accomplish during her time at Clemson. Legacy, who is ranked second in the national JUCO rankings by Golfstat, will enroll in January. She comes to Clemson from Seminole State Junior College where she finished second at the National Junior College Tournament and helped her team win the National Championship. She was the 4A State champion in South Carolina in 2012. “Sydney will be a great addition in January and will bring some very successful college golf experience from Seminole State. She has proven herself as a wonderful player by being the No 2 junior college player in the nation last year. We are looking forward to her joining us in January.